You may notice from time to time that something is off with your tap water – it has a different taste than what you’re used to, or it may even smell bad. Why does this happen and why does your tap water taste or smell bad? One explication to the difference in taste could be that the source of your tap water has changed (e.g. your water company is sourcing the water from a different reservoir). But a more likely explanation is a contamination issue, which could explain the change in odour as well. Sometimes, contaminants that have this effect can get into your water source. Knowing which contaminants can alter the taste of water can help diagnose the problem. Chlorine is a chemical that’s used all around the world to disinfect water supplies and kill off pathogens that can cause diseases. It’s the cheapest and most common water treatment method that’s been successfully used for decades in water treatment. However, chlorine is not without its drawbacks. Unfortunately, it’s not only an irritant substance exacerbating pre-existing skin and respiratory conditions, but it also alters the taste and odour of tap water. In fact, there are very few people who enjoy drinking or bathing in chlorinated tap water. Most people outright refuse to drink tap water simply because they can’t stand the pungent smell of chlorine. If you’ve ever used tap water, you’re probably already familiar with the bleach-like odour and taste that chlorine causes. Besides being a taste-altering water contaminant, the efficacy of chlorine is also questioned by experts, especially with the rise of certain chlorine-resistant microorganisms like E-Coli or Cryptosporidium. How to Get Rid of Chlorine Taste and Odour? Thankfully, if you don’t like the idea of having chlorine in your tap water, there are ways to remove it including aeration (letting water breathe) and activated carbon filtration. 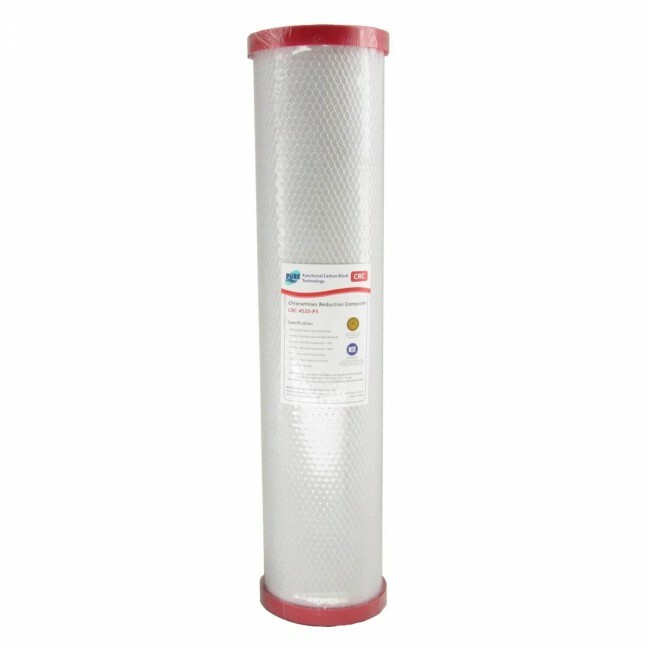 Currently, activated carbon filters are the best filters for chlorine removal. These filters will remove chlorine (some will remove chloramine too) and other by-products of chlorine. Therefore, you can enjoy chlorine-free water without worrying about its potential negative effects on your health. Another common taste altering contaminant that can find its way into your tap water is hydrogen sulphide or sulphur bacteria. Naturally present in groundwater, sulphur bacteria release hydrogen sulphide while they break down organic matter. This causes a rotten eggs-like or musty smell that’s hard to miss. These bacteria thrive in oxygen-deficient environments like plumbing systems, water heater, deep wells, etc. If you notice the smell only when you turn on the hot water tap, the problem is very likely to be in your water heater, where reactions caused by your magnesium rod or aluminium can smell like sulphur. While hydrogen sulphur gas may not be cause for alarm and it’s not a health threat, it’s still a good idea to find the source of the strange odour and alleviate the problem, especially if it’s caused by high levels of bacteria. Plus, hydrogen sulphide can cause stains on kitchen and bathroom fixtures and corrode metals, giving way to other problems in your household. How to Get Rid of Hydrogen Sulphide? Beyond being a nuisance in your household and having an odour that’s quite unpleasant, the presence of hydrogen sulphide is not considered harmful for your health. Because the source of hydrogen sulphide gas are bacteria, flushing your pipes and water heater are one way to deal with the issue. Another is aeration since these bacteria thrive in oxygen deprived environments. If you notice that the smell is coming from your drain (sewage-like smell), the source of the problem is likely a build-up of bacteria, soap and organic matter in your drain that you can easily fix by flushing your drain with chlorine. If you notice that your tap water has a salty taste, the cause may be the presence of high levels of chloride ions in your water. Another explication is naturally occurring magnesium sulphate and sodium sulphate. You may notice this especially during the winter when snow and rain may carry road salt runoff into local water supplies. Drinking water that has a salty taste is not only unpleasant, but if the taste is caused by sulphates it can be potentially dangerous for those on a strict low-sodium diet. Likewise, high levels of sulphates in water can cause diarrhoea. How to Get Rid of Chloride Ions and Sulphates? Sulphates and chloride can both be removed with the help of a reverse osmosis system. When found in higher concentrations, calcium or iron can make water taste sweet. Problems with your plumbing can also make your water taste sweet. A high concentration of minerals can alter the pH of your water, a change that will reflect in the taste of your tap water. How to Get Rid of Calcium and/or Iron? A reverse osmosis system can help you get rid of these elements that are altering the taste of your tap water, making it less palatable. The presence of calcium or iron is not a health threat. Naturally occurring materials like barium or cadmium will also alter your tap water, conferring it a fishy odour. Both barium and cadmium can seep into water pipes causing the strange fishy smell in your tap water. How to Get Rid of Cadmium and Barium Metals? Because the problem is often caused by faulty pipes, there isn’t much you can do to address the issue yourself other than getting in touch with your water provider. Flushing your pipes to get rid of organic materials that are built-up and installing a reverse osmosis system can help you get rid of the smell. Seepage or corrosion of rusty water pipes can cause water to have a metallic taste. Lower pH levels can also result in a metallic taste that’s unpleasant. How to Get Rid of the Metallic Taste in Your Water? Depending on what causes the issue, addressing the problem may require replacing very old pipes or installing a whole house water system with pH stabilising effects. It’s not uncommon that tap water changes its taste periodically. Even the passing of the seasons can cause changes that affect the odour and taste of your tap water. For example, during springtime, you may notice that your tap water has a strange earthy smell that can be because of algal blooms. Even though chlorine can destroy algae, it cannot get rid of the smell that can persist even after algae are destroyed. Not all taste modification or smells are dangerous, but it’s better to be a step ahead of the problem and address issues as soon as they appear. Visit your local water testing lab, get in touch with your water provider, and replace filter cartridges in an existing water filter system. Water filters can help get rid of taste-altering contaminants, however, if contamination issues are serious, they should be addressed by your water provider.